As I've written about recently, there's a growing trend around unbundling apps, invisible apps, and app constellations. They are all related but the last area has been of particular interest to me because we've been helping customers think through potential app constellation strategies over the last six months. In light of that, I though it would be useful to help define an initial set of best practices around creating and maintaining an app constellation. Actually needing an app constellation is a good problem to have. It's an indication that your user base, feature set, or some combination of those two has likely grown beyond your initial focus. Provided that a second or third app actually continues to solve your original mission—and is not a complete pivot—an app constellation is a sign of health to investors and users. 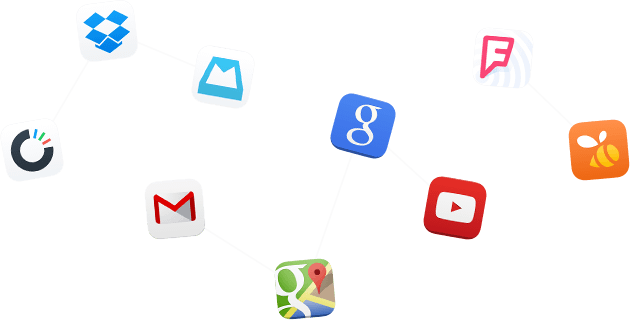 Google, Dropbox, Facebook, and recently Foursquare have been the main drivers of app constellations. Moreover, Foursquare's app constellation was actually created by unbundling its flagship app into Foursquare and Swarm respectively. For better or worse, other app constellations will likely be birthed in this manner, making it an especially important case to observe. The following initial set of best practices come from observations of these pioneers. Note: What is not covered below is whether it makes sense to unbundle an app into an app constellation. I recommend reading Steven Sinofsky's thoughts on bundling and unbundling software or listening to this recent a16z podcast for some additional context. As Benedict Evans notes at the end of that episode, there's a clear tradeoff between app versus feature discoverability when dealing with unbundling. If you're moving functionality from one app to another, like in the case of Foursquare moving checkins to Swarm, have a grace or transition period. Before you require your users to download the new app, ensure they understand what it is and how the new app is going to better serve their needs. The additional benefit of this approach is to work out any kinks in the new app. 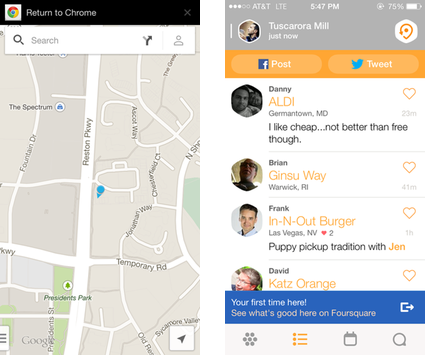 At launch, Swarm seemed to not be as good at identifying locations compared to Foursquare. Thus for me—and from what I can tell, other users—Swarm was actually not faster for checkins initially. Upon first launch, ensure that if another app from the app constellation is installed, that identity and its login credentials can be used automatically. 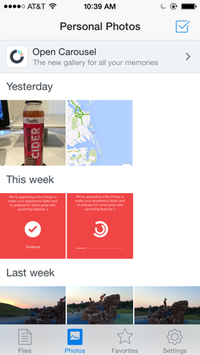 This approach helps the user get the most benefit from the app constellation. It also will speed adoption of the new app, since an entire new profile will not need to be created. Even with automatic login as an option, there should still be a way to allow someone to use a different account—or possibly no account at all—should they choose to do so. In particular, app constellations that offer fairly different functions—versus complementary—may drive users to not want to share the same profile. Google's apps are good examples since they range from video (YouTube) to maps (Google Maps). The flagship Google app is also a case where a "no account" approach might be desirable. Initially I was going to describe this one as, "Don't Force People to Use the Other App." Both Foursquare and Facebook have taken a nuclear option though: download another app or lose access to a specific feature. My initial description could be supported by Swarm's and Messenger's plentiful negative app store reviews or posts like Rene Ritchie's over at iMore. Foursquare and Facebook have made it clear, however, that while their approach may be described by people like Ritchie as "attention hoarding" and "avarice", they're OK with losing certain users and enduring low ratings in the short-term for what they believe is the right long-term product strategy. The takeaway here is twofold. First, expect to lose a segment of users if you're forcing them to download a new app to access a pre-existing feature. Secondly, cross promote your app constellation as tastefully as possible. For example, Dropbox highlights Carousel under the "Photos" tab in its flagship app but doesn't push it everywhere else. While app constellations can simplify and streamline experiences, interactivity between apps in an app constellation is arguably just as important. 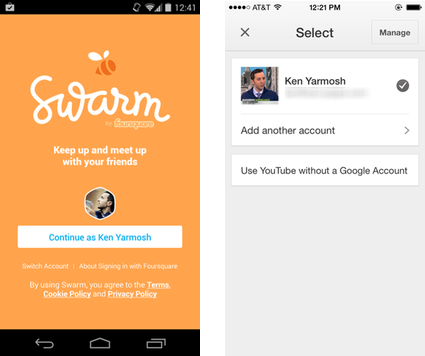 Foursquare broke out Swarm in part because of the competing privacy models. Now, it can highlight checking in via Swarm from the Foursquare app or prompt people in Swarm to discover more about a location in Foursquare. App constellations are still a new trend but one that will likely stay. While early app store reviews are not entirely positive, that's to be expected by those who generally do not like change. As the title of the latest episode of the a16z podcast indicates, the topic of bundling and unbundling has lasted the entirety of the history computing. The great unbundling of apps is just another version of this perpetual pendulum and developers ultimately need to do what they have determined will work best for them and their users.